Please note – This product is designed to be used on its own, or with a B-Grip Belt Holder available separately (see also B-Grip HS). 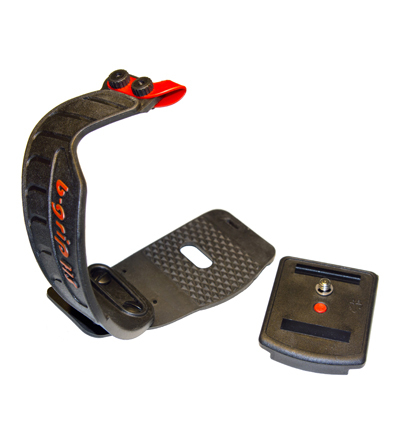 B-Grip’s Handstrap Plus Kit includes a B-Grip Quick Release Plate (QRP). 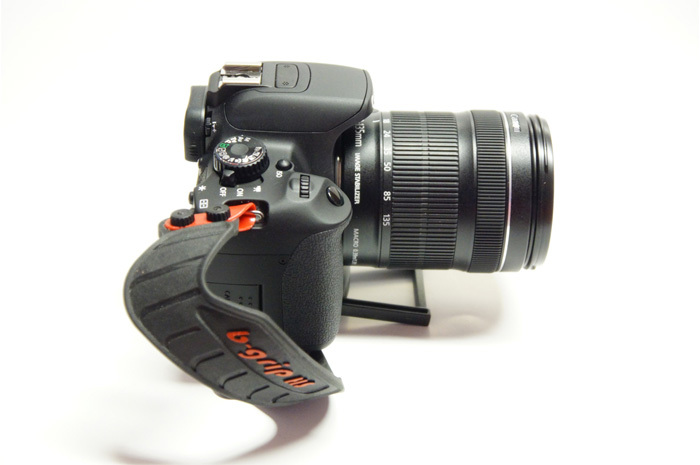 It can be used as a stand-alone product, with a B-Grip BH, or with the B-Grip TA (Tripod adaptor). It provides a robust, fully adjustable rubber handgrip. Ergonomically designed it gives excellent grip and comfort. 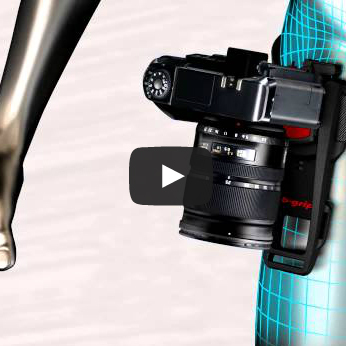 The clever ‘S’ shape keeping your fingers free to operate the camera. The Hand Strap is adjustable to suit most size hands. 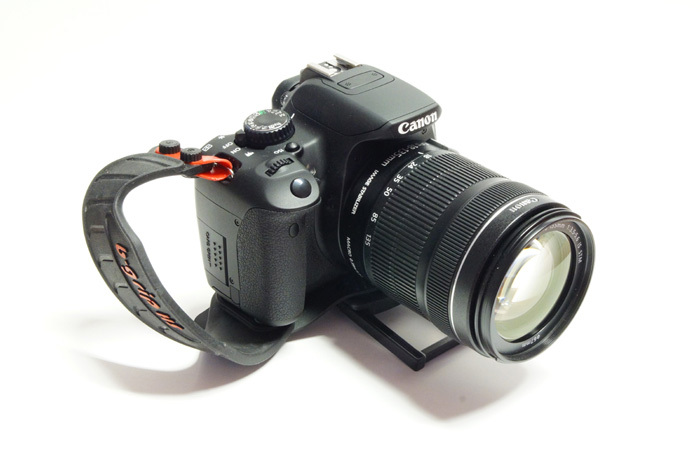 If required a neck strap can be fitted (with the camera hanging vertically ). 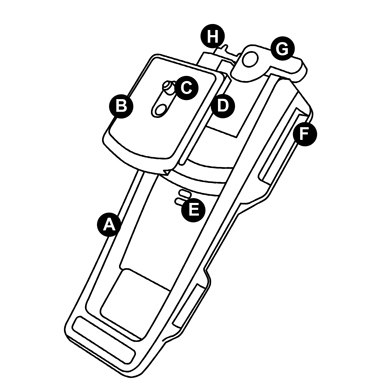 The Quick Release plate is DIN (4503) compatible and allows the camera with Hand Strap fitted, to be inserted directly into a B-Grip Belt Holster. For non-DIN standard tripods, the Quick Release plate can be used with the B-Grip TA (Tripod Adaptor) which allows use with almost any modern tripod. 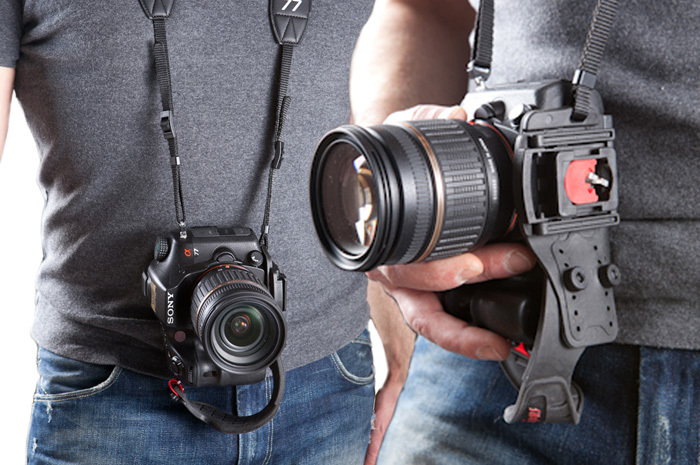 The B-Grip Handstrap Plus is fully compatible with the other B-Grip products including the Belt Holster, Tripod adaptor and Travel Kit. 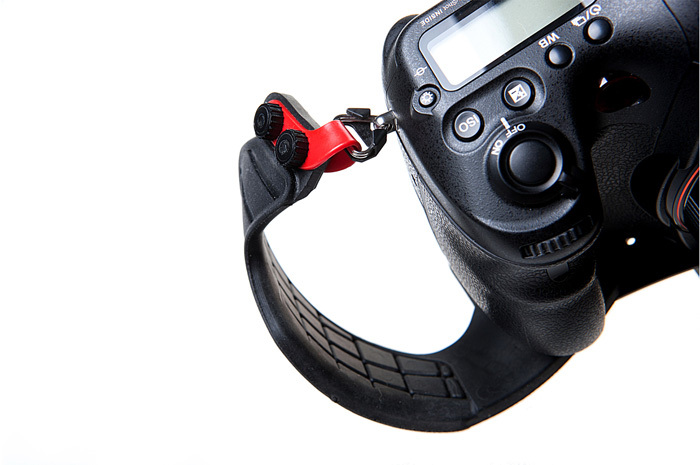 The B-Grip Handstrap is available in two versions. 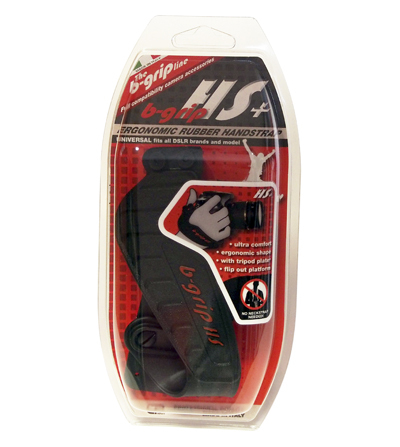 The HS is for customers who already own a B-Grip Belt Holder.